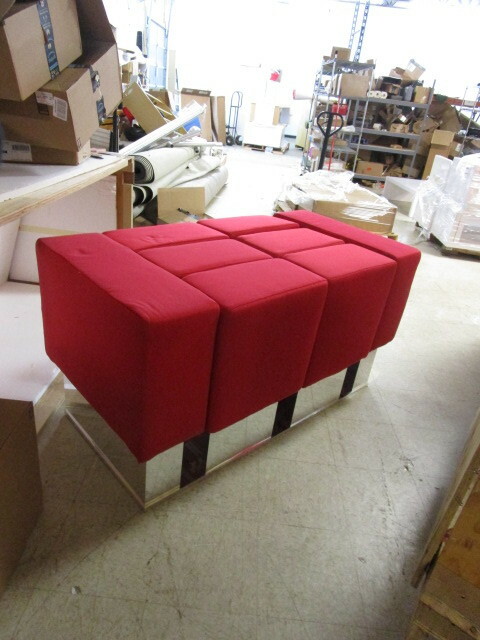 Ultra modern red seating with mirrored base. 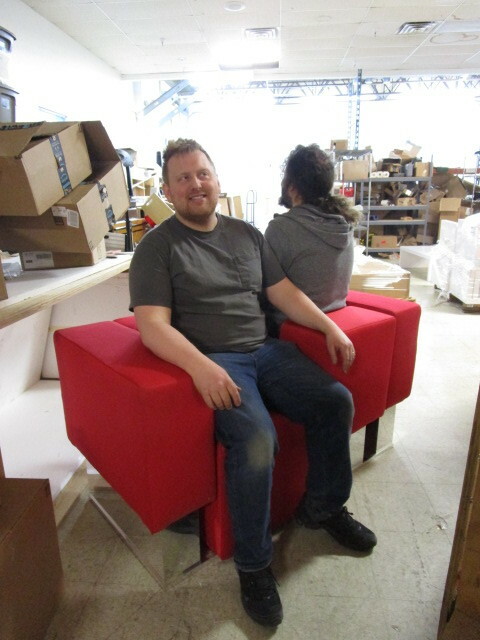 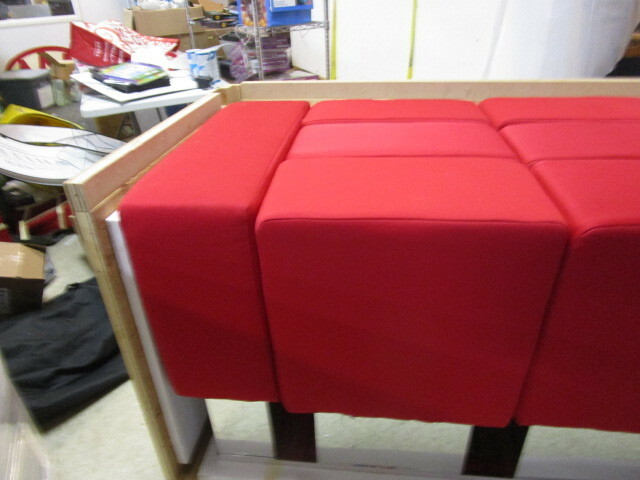 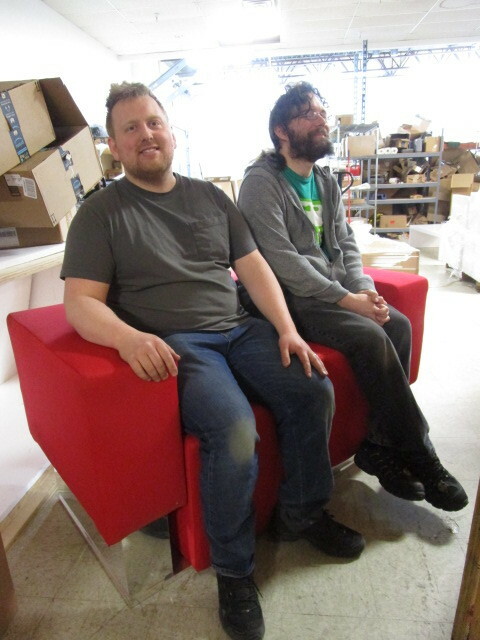 Red cube becomes a 2 person seat- either 2 person side by side or back to back. 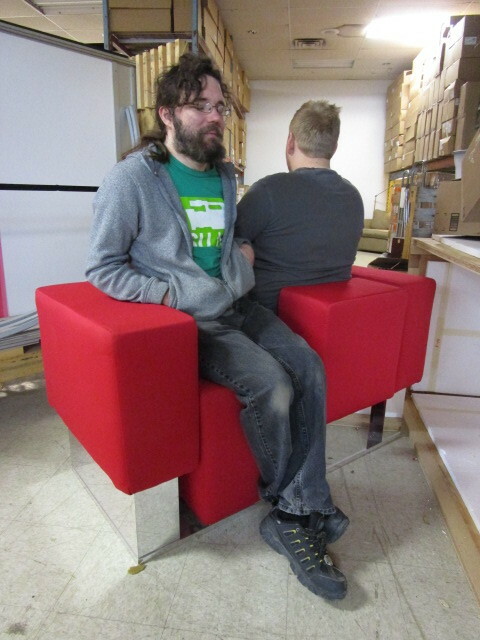 Sit on a cube and it uses your body weight to compress into a seat cushion with a back. 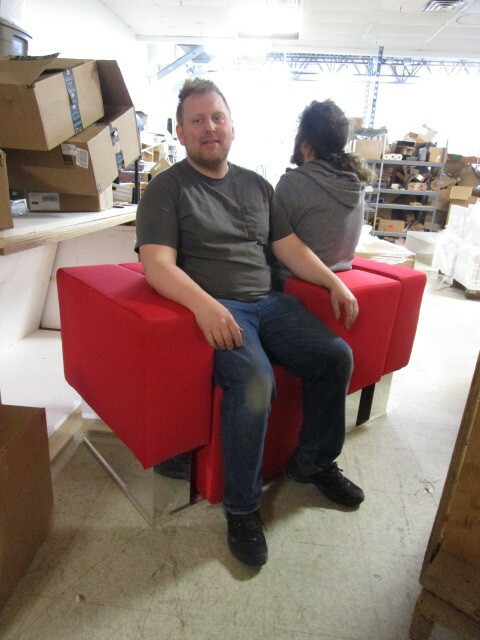 See photos for demonstration of how seating can work. 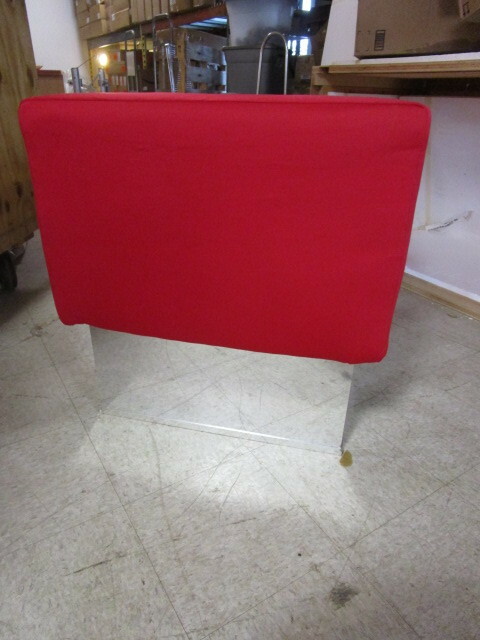 56 x 28" x 29" tall in non-compressed form. 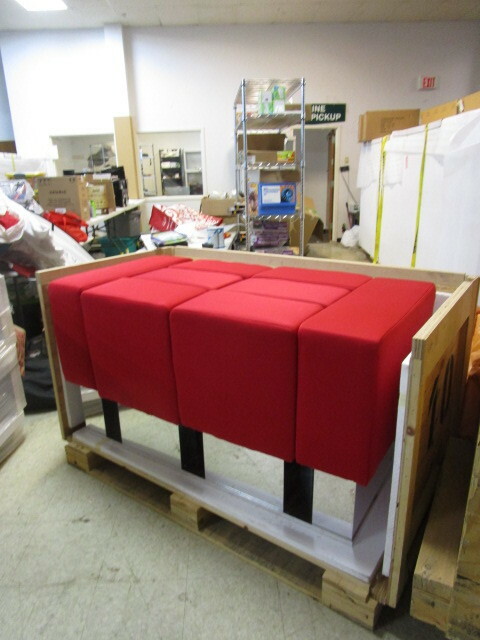 Item comes with it's own heavy, plywood, custom-built palletized case - you can take the case or leave it behind, it is up to you.